Learn the Jack and Jill rhyme called Motorcycle by watching this 2-minute and 48-second music cartoon for kids. See them ride the cool motorcycle fast and slow on the road. 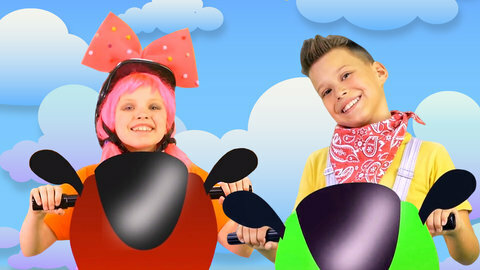 Jack and Jill takes turns in driving the cool motorcycle in this video. Learn other original rhymes by Jack and Jill at Kivitu.com.